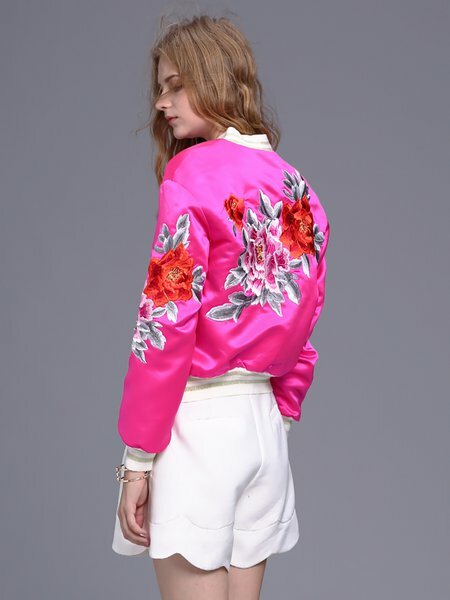 Embroidered Bomber Jacket is getting more fashionable. Embroidery have different motives: plants, geometric, fuuny. I like the style girlish and I liked the most floral design. Are amazing! They are made mainly of satin or velvet. I am very fashionable and unique found in Stylewe . Dear Look on their website, they have cool coat, jeans, dress, tops and many others. Uwielbiam bomberki ! Z hafem mam w swojej szafie jedną póki co! Z twoich propozycji ta różowa naprawde mi się podoba!